This has been an insane year. I haven’t had much time to post at all which I’m incredibly disappointed by. However, the 2018 harvest is shaping up to be a very interesting one. Over the summer, my family and I relocated back to Napa, California but we are keeping our brand, Trestle Thirty One, from the Finger Lakes in upstate NY. This requires me to keep on top of harvests on both coasts. I’ll try to catch everyone up on what has happened so far. It’s so similar to 2010 it is scary. In 2010, the summer was mild with very few hot days post veraison with the one exception of right before labor day when all the Pinot Noir I was working with decided to jump 4 Brix over the span of a few days. The color development was phenomenal and the whites and early ripening red vineyards had such incredible finesse, high acids, and intensely chunky tannins. 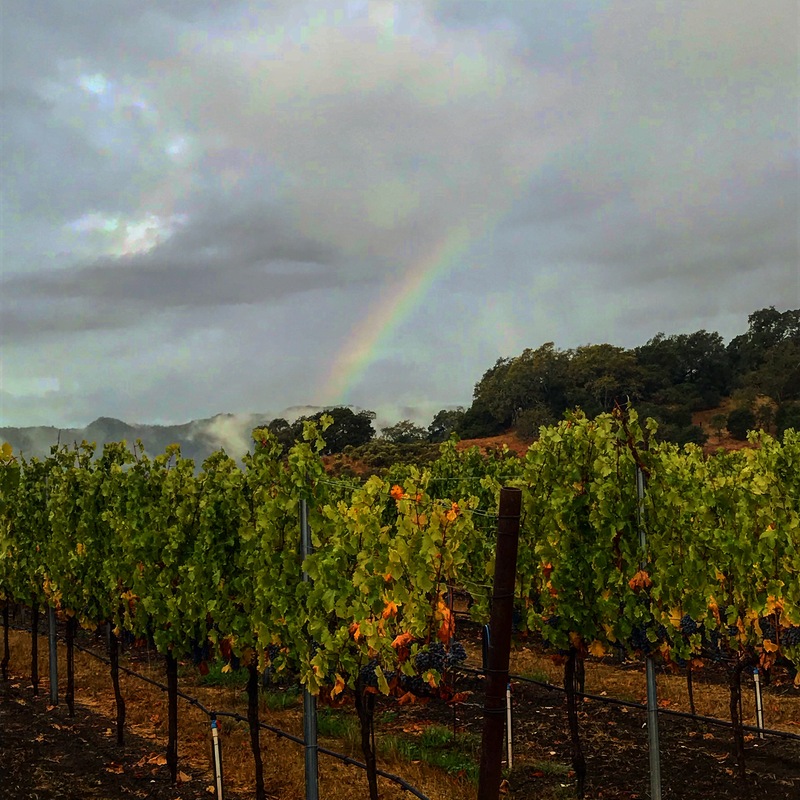 Early rains in October changed the mood and late ripening red vineyards struggled to reach maturity. 2010 was also when Brian and I bought our house in Calistoga and started renovations which would last 5 years. We moved in around mid October and were harvesting and trying to get unpacked at the same time. So here we are in 2018 with a mild summer with few heat spikes (minus the labor day heat that 2010 had), amazing whites with fresh acid, elegant Pinot Noir, and early Cabernets are showing color that is off the charts, low pHs, and lots of flavor and tannin stuffing. We had almost 1.25 inches of rain last week however which soaked the vineyards and made me thankful I had brought my muckboots with me. Ripening has slowed considerably and after an early run of fruit, the season has been achingly slow although quality is still amazing. Just like 2010, the first rain was not really an issue. It’s the second rain now that could cause problems. It may be that mother nature will smile on us with a long and calm season. Today was spectacular in Napa with plenty of wind to dry out any remaining wet spots. With the heat tomorrow, I expect to see a wave of movement in maturity and predict the week of October 15th and 22nd will be VERY busy in the valley. We are also unpacking from a move again, but unlike 2010, we didn’t have to do any immediate renovations on our new home which has been a welcome respite from home demo and remodeling. Our 1885 house in Geneva, was finished only a week before we left NY and was sold to its new owners who were super excited to not have to do anything to it. 2018 has been no exception. On August 14th, 5 inches of rain fell over much of the area with some localized rain up to 9 inches. Many homes were devastated and erosion was a problem in many vineyards in the worst hit areas. Luckily for most of the varieties it was still early enough that the fruit wasn’t compromised. The next wave came from Hurricane Florence remnants which dropped around 1 inch of rain around mid September but was no where near as bad as it could have been. This caused some botrytis issues, particularly in Chardonnay and Pinot Noir. We picked our Trestle Thirty One Chardonnay on Monday, September 24. 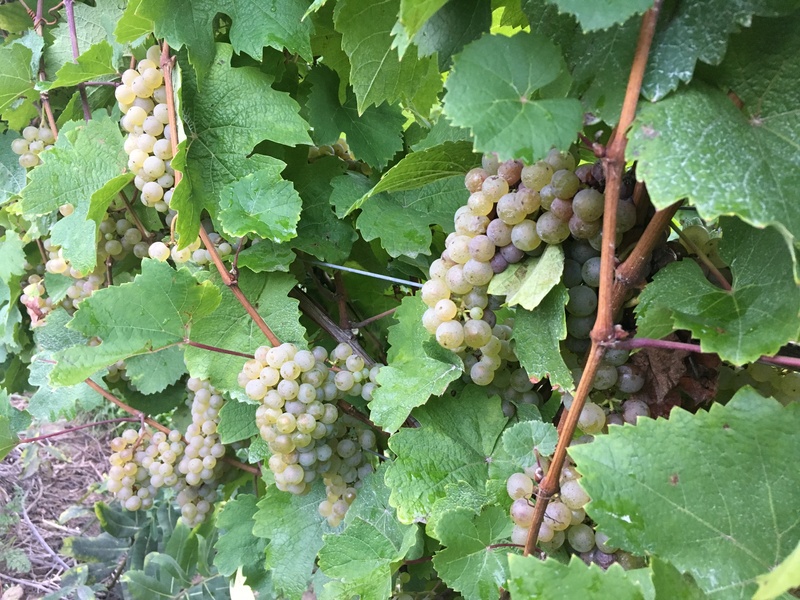 The hand crew did a fantastic job of sorting in the field and we ended up with a small but delicious crop of Chardonnay with beautiful chemistry. It is currently bubbling away during fermentation and should be finished within a few days. Then we turned our attention to Riesling. The almost continuous daily showers have made this a challenging year for winemakers and growers alike. Everyone has their own way of dealing with this type of season but we are taking the gamble and hanging the fruit. The vineyard managers have done a great job of sending in crews to drop the fruit that has turned sour and leaving only the clean fruit. I anticipate another pass close to harvest and then the hand harvesting will clean out whatever compromised fruit the first two passes may have missed. At this point, I am doing my normal stalking of all the online weather information and have accuweather pages up for both Napa and Geneva, NY. The main goal, realistically the only goal, is to make the best wine possible from both regions. It’s been a fun harvest so far and I’m sure the best is yet to come. 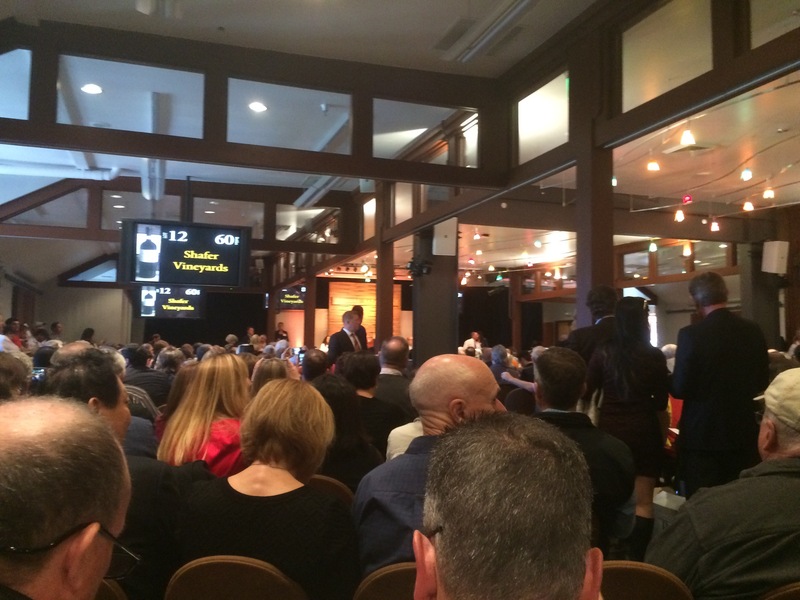 This past weekend was devoted to the 2015 Premiere Napa Valley. It is always an amazing experience but this one was bittersweet for me because it is very likely the last for a very long time that I was involved with one of the lots. Our lot for Robert Mondavi Winery was lot #13 made up of all 5 red Bordeaux varieties grown in Monastery Block in To Kalon. The week’s celebration started off for me on Tuesday with hosting 3 writers at the “Down and Dirty” session of the Wine Writer’s symposium which was also held this week. We took them through the winery and then showed them how to stir Chardonnay lees in one of our Reserve Chardonnay lots. The next event that I attended was Friday afternoon at Far Niente where many of the wineries of Oakville came together to show off their wines to prospective bidders. I was able to taste quite a few of these wines before the crowds showed up. Harlan is always a favorite of mine as is Opus One. Other lesser known favorites included the Detert Cabernet Franc and Franciscan’s Malbec based auction lot. I was very happy with our lot as well and many tasters seemed to agree. That night, my husband and I went over to Raymond Vineyards for the NapaGras party. 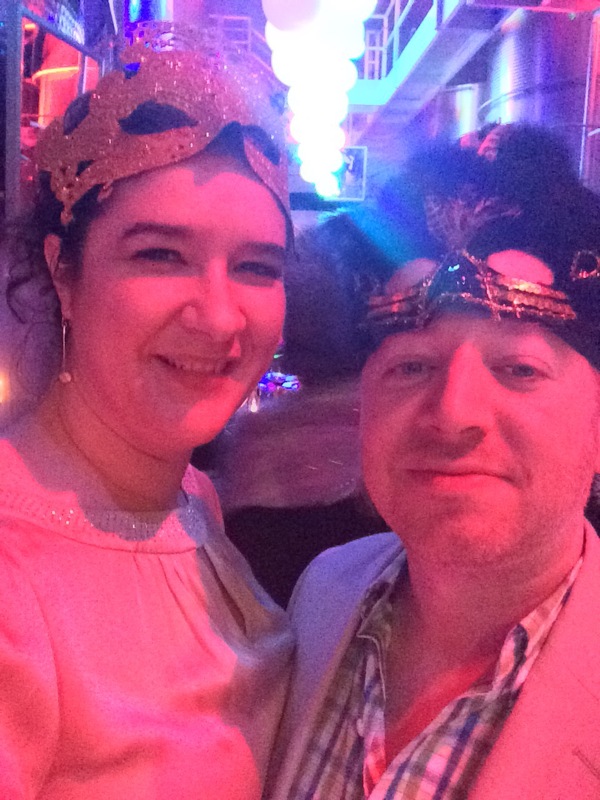 Brian works for Raymond and was able to introduce me to Jean Charles Boisset, the host and life of the party. I was excited to go given the party’s reputation for being an experience to say the least and it completely lived up to the hype with good wines, fantastic food, off the wall performances, all set to a thumping, rhythmic beat of club music that mimicked one of my personal playlists very well. Saturday’s main event flew by quickly for me. I didn’t arrive in the tasting hall until noon and at that point I only had 30 minutes to quickly taste around the room. The highlights were Tim Mondavi’s Continuum, Brand (also from Prichard Hill), Stag’s Leap Winery, Hoopes Vineyard, and Corison Winery. Unfortunately the Shafer was completely poured out by the time I arrived so I didn’t get the chance to taste that one. I also tasted Spiriterra Vineyards Muscadine offering, a sweet, white wine in 375mL bottles that was one of the finest Muscadines that I have had the pleasure of tasting. Having tasted quite a few awful ones, I feel I can speak with some authority on this. After that round of speed tasting, I ran upstairs to grab lunch and settle in to the auction room for the short wait to the Mondavi lot auction. By lot #9 my heart was pounding and my hands were shaking. It’s the ultimate judgement of your wines and for me it feels like baring your soul for the masses. It’s personal. You spend so much time with these wines. The 2013 vintage was my first and only Cabernet vintage from grape to bottle at the winery so I was very anxious to see how it would be received. The auction felt like it took only seconds, it was over so quickly. After the fall of the gavel our lot went for $60,000. It is a very respectable sum and I’m happy people enjoyed it. This week, I’m off to Vancouver, British Columbia for the Vancouver International Wine Festival and the following week we pack up and leave for New York. Life goes on and it is busy! It’s been pouring this weekend! Everyone has been extremely excited but also with that much rain at one time comes additional problems such as trees falling over the roads and flooding. I don’t hear too much complaining though. At this point in the season, it sounds like we have enough water to make it through this year. 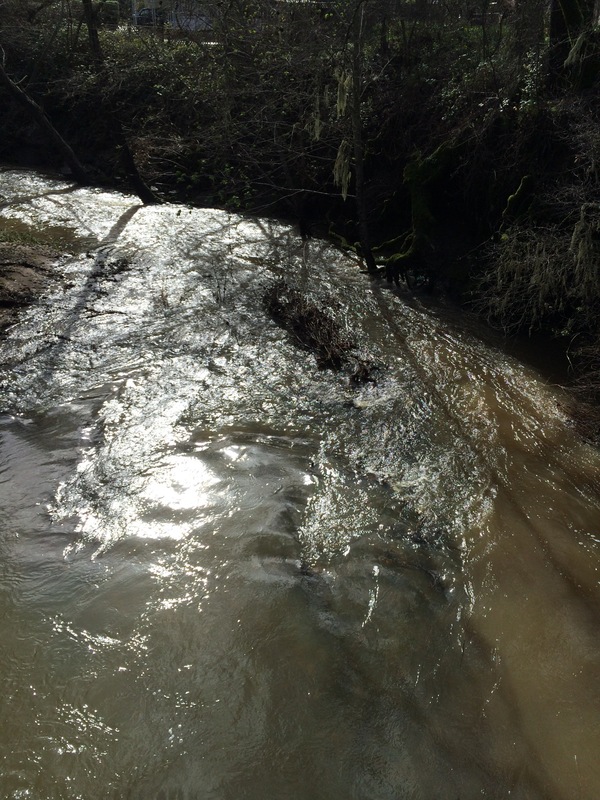 The upper Napa River is flowing swiftly and is very full. We are also less than 2 weeks away from bud break. The vines are weeping fairly strongly at this point (at least the ones in my back yard are) which is a sure sign that bud break is right around the corner. It seems to be tracking right along with the past two years so we might be in for another early harvested year depending on what the weather pattern does this summer. 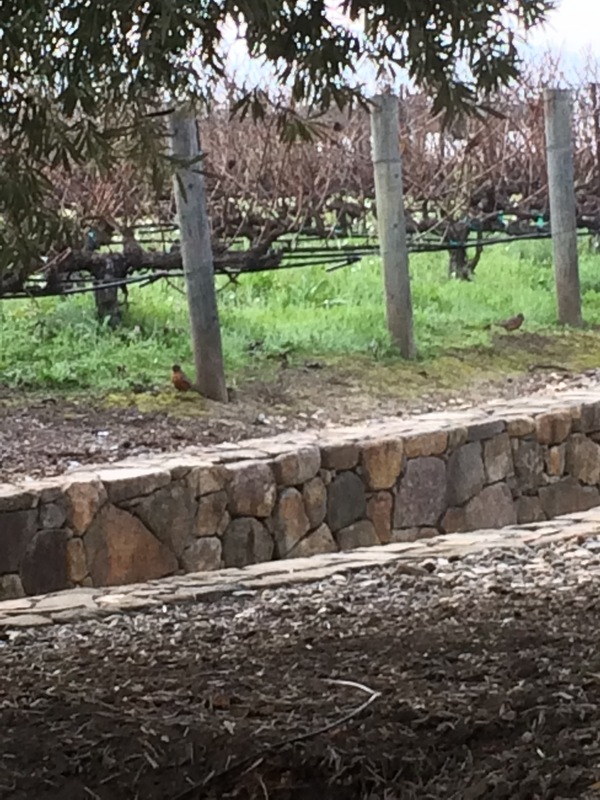 Spring has definitely sprung in Napa! The mustard is in full bloom and the Robins are flocking to the area.